We have a small selection of Kimber Axios headphones cables that are in stock and available for immediate delivery that we're offering at a discounted price to make some room on our shelves. Please note that this offer only applies to 'in stock' Axios cables only. Sorry, but we're unable to ship Kimber Axios outside of the UK. 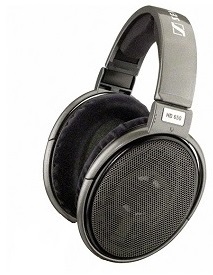 This version of AXIOS is specifically for the Sennheiser HD580 HD600 HD650 HD660s Headphones. ''The first products that Kimber Kable designed were the 8 wire and the 16 wire speaker cables – such as 4PR and 8TC. The design for AXIOS is based on these original products. 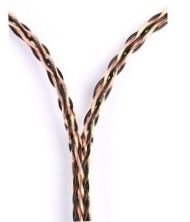 The headphone cable starts with an OFHC copper wire braid, comprising 16, individually-insulated 24-gauge strands. The really clever part is where there’s a seamless transition to two, eight-braid tails. To accomplish this, we developed an entirely new hand braiding process for remarkably precise and uniform braids within the transition. This is no easy task. The design team braided over 100 cables before the method was perfected and ready for production. It means that there's no solder joint to impair the signal, and rather than simply twisting the tails together, the famous Kimber Kable weave is maintained. ''We’ve also worked really closely with the headphone manufacturers to develop the connectors. All connectors feature hand-polished wood accents which are matched cosmetically to the headphones. For example, take the cable we make for the Audeze LCD-3. The connectors are finished with zebrawood to complement the LCD-3’s appearance. The cables look as good as they sound''. The cables are formatted in the most common and traditional 'Y' format. A single stereo plug at the headphone amplifier end which them splits out in to two cables connected to the left and right headphone speaker. Don't forget! We’re so confident in the performance of this product that it is covered by our 60 Day Home Trial with Money Back Guarantee. Buy the product and if you're not completely satisfied, you can return it within 2 months for a refund. For full details click here.